Five African countries signed a new treaty on sharing of the Nile waters despite strong opposition from Egypt and Sudan downstream. The new treaty aims to replace colonial-era treaties that allow Cairo and Khartoum a lion’s share of the river water and veto any irrigation or hydel projects upstream. The Nile Basin Initiative, which had been spearheading the talks for 13 years, will now become the Nile Basin Commission and will receive, review and approve or reject projects related to Africa’s longest river. Egypt, which fears its water supply would be severely reduced if the other Nile basin countries divert the river, has vowed to take legal action to maintain its historical water rights. 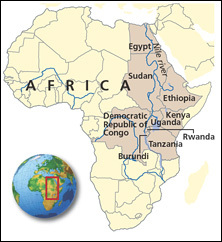 The Nile flows through 10 countries, but the distribution of its water among each basin country has been a source of tension in the region. April 2010 was the hottest ever recorded worldwide, with an average temperature of 14.5oC, the World Meteorological Organisation (wmo) said. The average temperature on both land and ocean this April reached 0.76oC above that of the 20th century average of 13.7oC, said the UN agency. The global temperature data released by nasa also indicates that 2010 so far has been the warmest year on record. Global temperatures have been steadily rising since the late 1970s with no significant let-up in the trend, said nasa. 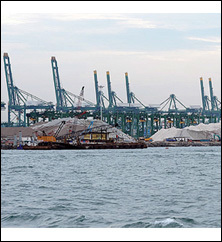 Singapore is expanding its coastline with sand, dredged illegally from Cambodia. The trade has significantly damaged the south-east Asian country’s coastal ecosystem in the past year, said Global Witness, an environmental group in London. Singapore, densely-populated and the world’s fourth wealthiest country, has expanded its size 22 per cent since the 1960s by reclaiming land from the sea and is the world’s biggest importer of sand. Indonesia, Malaysia and Vietnam were some of its biggest trade partners till 2008. But after the countries banned sand exports due to environmental concerns, Singapore shifted its trade to Cambodia. Despite restrictions, Global Witness said, an illegal sand-dredging industry is thriving in Cambodia. 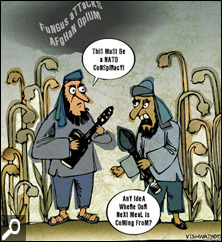 Chinese cotton growers were among the first farmers worldwide to plant genetically modified (GM) Bt cotton for its resistance to bollworms, a major pest. But the profits they reaped in the initial years have eroded. Researchers from Cornell University in the US said Chinese Bt cotton growers are incurring heavy losses as other pests are attacking the GM plant. The researchers conducted a field study of crops in northern China, where 95 per cent farmers grow Bt cotton, from 1997 to 2009. They found the use of the GM plant has led to an explosive growth in the population of Mirid bugs, previously only a minor pest in the area. 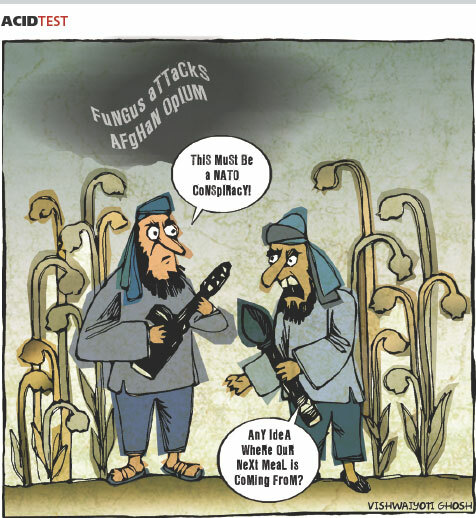 Since 2004, Bt cotton growers have been spraying just as much as conventional farmers, earning 8 per cent less because Bt seed is triple the cost of conventional seed. The pest has also emerged as a threat to other crops, including grapes and apples, for the first time in China because Mirids eat a wide variety of plants. With frustration growing over the oil spill in the Gulf of Mexico, US President Barack Obama has appointed a commission to ascertain the root causes of the disaster and recommend ways to prevent such disasters in future. The government has also closed a fifth of the Gulf’s federal waters for fishing. The move comes a month after British Petroleum’s drilling rig off the coast of Louisiana exploded, killing 11 people and bursting an underwater pipe. 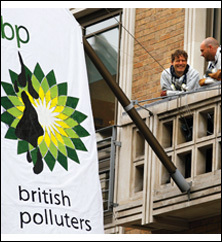 Since then, it has been spewing about five million litres of oil a day—BP puts it at 580,000 litres—into the gulf. Scientists have warned that giant plumes of oil floating deep in the Gulf of Mexico could create a new dead zone—oxygen-depleted water—unfit for marine life and wreak environmental damage that will take generations to repair. In a shallow spill, the oil shoots up to the surface affecting only surface organisms like turtles and dolphins. But the oil spill caused by BP is travelling up through 150 metres below the surface, affecting organisms in the entire water column. Adding to the toxic soup are over two million litres of chemical dispersants to help keep the oil slick away from shorelines, said the scientists. The gulf already suffers from a massive dead zone that forms when fertilizer-rich agricultural runoff causes algal bloom. In what is billed as the biggest commercial forest preservation agreement in history, environmental advocates and timber companies struck a deal to protect 72 million hectares (ha) of forests in Canada. Under the pact, 21 Canadian logging companies have agreed to suspend logging in nearly 30 million ha of boreal forest and limit it in others. In exchange, the environmental groups have pledged to suspend do-not-buy campaigns against the loggers’ products, which range from construction lumber to toilet paper, and to endorse them. Unlike tropical forests, which constantly recycle atmospheric carbon through phases of growth and decay, boreal forests experience less decay and tend to pool carbon in soil and peat. Protecting these forests and their soil, which has enormous amounts of carbon, is thus important to avoid release of carbon into the atmosphere. The Paraguayan authorities fined a Brazilian cattle ranching firm for clearing forest that is home to the last group of uncontacted tribes outside the Amazon basin. Yaguarete Pora had concealed information about the existence of the Totobiegosode in the region while applying for the licence to work, said the environment ministry. It has slapped a fine of US $16,000 and revoked the company’s licence. Conservation group Survival International said illegal ranching has already forced seven sub-groups of the tribe out of the forest, but some still avoid all contact with outsiders. The UN appointed Christiana Figueres, a Costa Rican diplomat, to head stalled climate change negotiations. 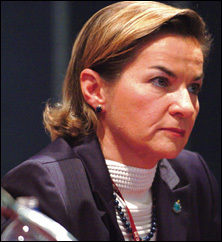 Figueres, 53, is the first leader of the UN climate change secretariat from a developing country. Appointed by Secretary-General Ban Ki-moon, Figueres will succeed Yvo de Boer, who resigned following the Copenhagen talks. The appointment of a climate chief from the developing world was widely forecast after a rift between rich and poor countries at Copenhagen, where developing countries said the industrialized world was shirking its historical responsibility in causing climate change. Figueres has been a member of Costa Rica’s climate negotiating team since 1995. North Korea announced its scientists have made significant progress towards developing thermonuclear power, dubbed the holy grail of clean energy. The technology is based on the nuclear fusion reaction that creates unlimited power without emitting greenhouse gases or radioactive waste. But conducting the reaction in a controlled manner has eluded scientists for over 50 years. Several scientists have dismissed the claim of North Korea—a poor country that struggles to generate barely enough electricity for its needs—saying it has probably conducted some laboratory experiment. They have asked for evidence. Nuclear fusion reaction usually takes place in the sun and other stars.